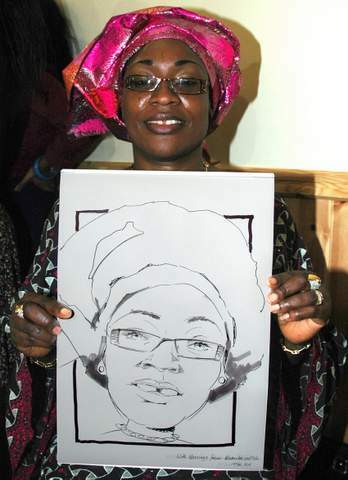 Caricaturist in London, Kent, Surrey and Essex. 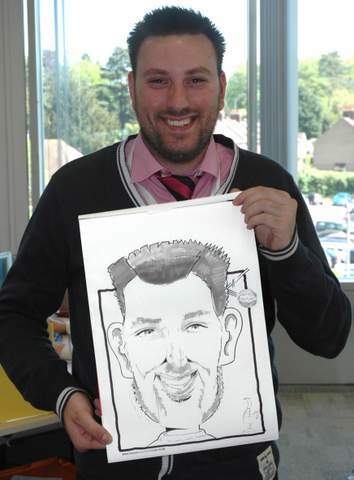 If you are looking for a great way to entertain your guests at your Party, Wedding or Event then booking Caricaturist Paul to draw fantastic likenesses would be a very popular attraction. Everybody loves his drawings as he takes care to do complimentary likenesses that are incredibly good. Your guests will love this and love watching him draw too! Paul draws caricatures with fantastic likenesses in a more portrait sketch technique. His sitters are amazed at how he can draw such fun likenesses so quickly. Guests always say they are going to frame his drawings and what a great reminder of the occasion they are. Pauls caricature portraits are always complimentary, he draws everyone in such a way that it’s fun (in a nice way), sophisticated or beautiful but always smiling and looking happy. 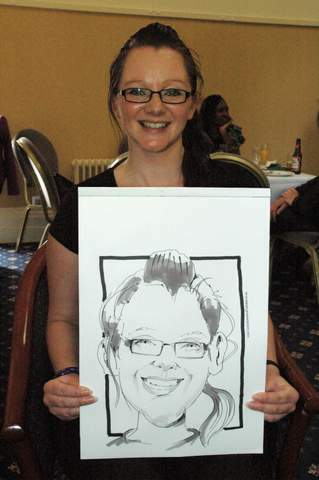 Each caricature portrait takes me about 7-10 minutes and are drawn in black and white pen with grey tinting pen on A3 paper. India. I cover mainly London and the South East but will travel further if requested to do so. Paul draws at many weddings in the South East fitting in with proceedings where ever you want him – evenings, after or during the wedding breakfast or after the ceremony, just let him know. He is friendly and always happy to help. Guests will love what he does and Paul creates a great way to remember the day for everyone he draws. Keeping everyone smiling. Previous clients include: Bel Group, BT, Manpower, American Express, Reed, Shell, Greater Manchester Police, The Army, University of Kent, Nuffield Hospitals and many private parties and weddings. 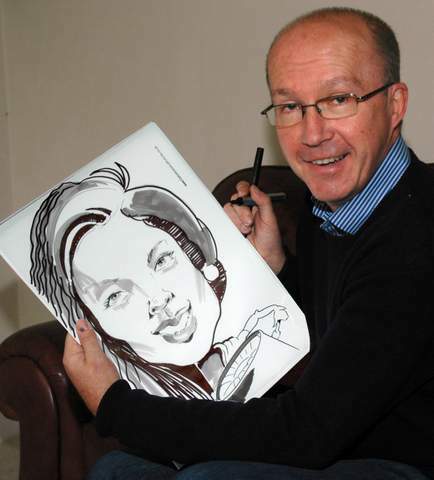 Caricaturist Paul has been drawing and entertaining people with fun caricature portraits for 25 years, with periods spent working in Australia and India. He covers mainly London and the South East but will travel further if requested to do so. When drawing Caricaturist Paul requests a well-lit part of a room and likes to set up a comfortable area for sitters to relax (usually prearranged) with 2 chairs and a small table. At corporate Events he can go from table to table and draw people one to one. He is very flexible in how he works and always tries to fit in with special requests.